Healthcare Services Workers Vote Union Yes! 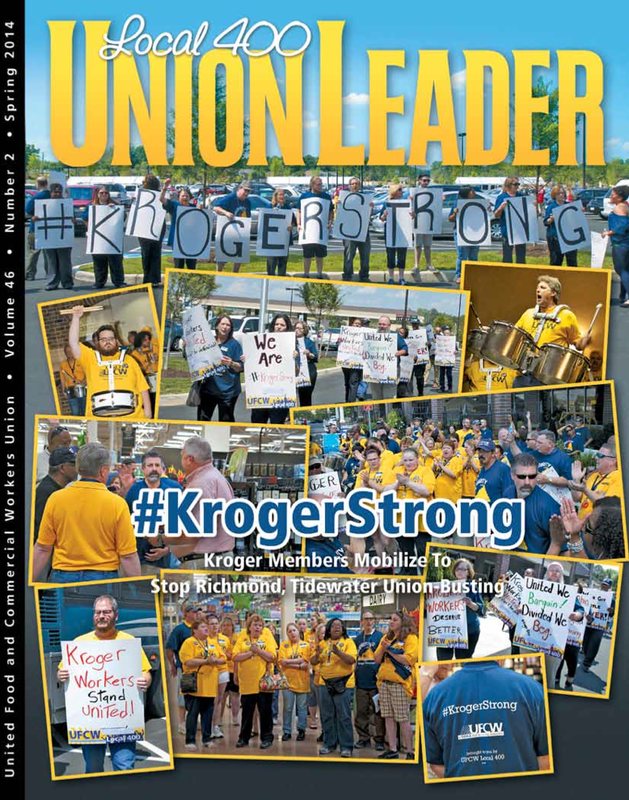 Local 400’s quarterly magazine, the Union Leader won three awards, while the website won general excellence in its category and the social media campaign “#KrogerStrong” took home third place overall for the 2015 Labor Media Awards from the International Labor Communications Association (ILCA) for articles published and campaigns run in 2014. Read it in its flippable page format below! Flip through the pages digitally by clicking below! Local 400’s quarterly magazine, the Union Leader won six awards, while the website took home another for the 2014 Labor Media Awards from the International Labor Communications Association (ILCA) for articles published in 2013. Best Design/Internet for the website. The 2013 ILCA contest continues a long unbroken streak for Local 400 in winning Labor Media Awards year after year.